With nearly 100 workshops offered, how do you choose? You don't have to! Conference recordings provided by Dove Conference Services will give you the choice of purchasing individual workshops, pre-conference sessions, and keynote presentations or the complete set for one low price on MP3. 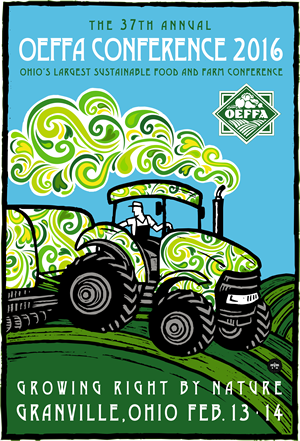 Order on-site for discounted rates or after the event at www.dovecds.com/oeffa. Lindsey Lusher Shute is the Executive Director and co-founder of the National Young Farmers Coalition (NYFC), which represents, mobilizes, and engages young farmers to ensure their success. NYFC organizes new farmer networks at the grassroots, offers farmers business services, and advocates for federal policy change, recently introducing legislation that would add full-time farmers to the public service loan forgiveness program. 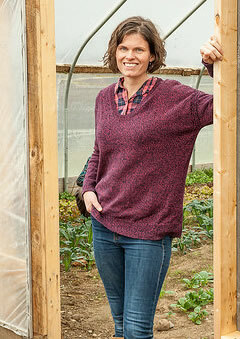 Shute and her husband, Benjamin, raise two daughters and own and manage Hearty Roots Community Farm, a 70 acre farm in New York’s Hudson River Valley. Shute grows about 25 acres of certified organic vegetables and cares for a flock of laying hens and a dozen pigs, which are marketed through a 900 member community support agriculture program. Before working with NYFC, Shute helped create community gardens and was the Director of State Policy at Transportation Alternatives where she led campaigns in New York to improve public transportation and pedestrian safety. Lindsey holds a M.S. from the Bard Center for Environmental Policy. In 2014, Shute was selected as a White House Future of American Agriculture Champion of Change. John Ikerd is one of the nation’s leading experts and speakers on agricultural economics and a well-known, passionate and insightful sustainable agriculture advocate and speaker. Raised on a small dairy farm in southwest Missouri, Ikerd received a B.S., M.S. and Ph.D. in Agricultural Economics from the University of Missouri. He worked in private industry before spending 30 years in professorial positions at North Carolina State University, Oklahoma State University, the University of Georgia, and the University of Missouri. From 1989 to 2000, under a cooperative agreement with the U.S. Department of Agriculture Sustainable Agriculture Research and Education (SARE) program, he provided state and national leadership for sustainable agriculture research and education programs. Ikerd has authored six books including Sustainable Capitalism: A Matter of Common Sense, Small Farms are Real Farms: Sustaining People Through Agriculture, and The Essentials of Economic Sustainability — along with book chapters, journal articles, magazine and trade publications, and conference proceedings on various aspects of the sustainable agriculture movement. In 2014, the Food and Agriculture Organization of the United Nations asked Ikerd to develop the North American report for the International Year of the Family Farm. 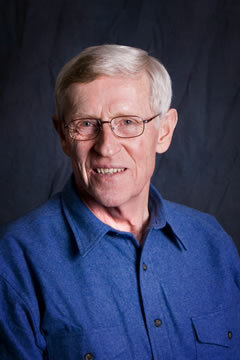 Since retiring in 2011 as Professor Emeritus of Agricultural Economics, Ikerd has worked closely with the Sustainable Living department at the Maharishi University of Management on issues related to sustainable economics and deep sustainability and has joined local efforts to stop the spread of confined animal feeding operations (CAFOs). He currently resides in Fairfield, Iowa with his wife, Ellen, two dogs, and two cats.